It doesn’t matter if you want to watch your favorite movie, last night’s hottest TV show, or your friends goofy vacation videos, buffering while you are trying to stream video is annoying. But, you don’t have to put up with buffering. Speedify can help you have a fast, smooth Internet experience, no matter where you are. And, of course, this also means fix buffering when streaming video! Why Do My Streaming Videos Keep Buffering? Chances are the buffering issue related to streaming videos has nothing to do with the website or app you are using. Most likely the problem is Internet bandwidth. Even so-called high-speed Internet connections sometimes run much slower than you expect. If you are streaming from an iPhone, iPad or Android mobile device, buffering is usually worse. Part of the problem is that while your mobile device can connect via mobile data or Wi-Fi, it cannot use both at the same time. Should your connection momentarily fade, this causes your video to buffer, or even worse, it disconnects you all together. What you need is more bandwidth and a more reliable connection. No matter how you are watching videos, Speedify can help. Speedify works on iOS, Android, Windows, and macOS devices. Speedify unlocks the full potential of your device. It allows your device to use two different Internet connections at the same time, and bonding them into a single fast pipe. On a smartphone or tablet you can bond your mobile data to a Wi-Fi signal. This increases your bandwidth. You get faster Internet connection speeds and a smoother streaming video experience, without any buffering. You can even tether your laptop to your mobile device to get the same experience on your computer if you are away from a strong, reliable high-speed connection. But, Speedify does much more to improve your Internet experience than combining multiple Internet connections. Speedify also monitors the quality of your connections and encrypts your data. Speedify runs in the background of your device making sure you stay connected to the Internet. If your cell signal or Wi-Fi disconnects, Speedify automatically reroutes all your data through the remaining connection. Once the lost connection is stable again Speedify automatically reconnects. You may not even notice anything has happened; you will be always connected and able to enjoy your streaming video. Speedify is also a next generation mobile VPN service. Older VPNs use a single socket that creates a traffic jam and slows down your Internet connection by as much as 50% while encrypting your data. Speedify uses a new, proprietary protocol that delivers the same high-security encryption, but it doesn’t slow down your Internet connection, as other VPN services do. Speedify mobile VPN keeps you safe from compromised Wi-Fi networks and snooping ISPs. 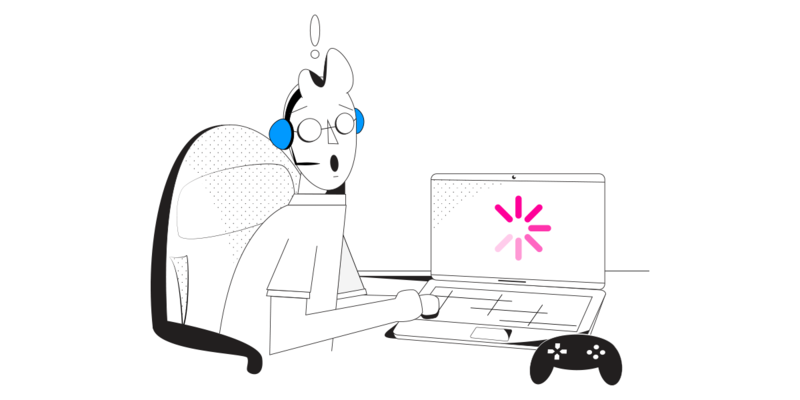 Instead of having to deal with fixing buffering when streaming video, unreliable connections, or unsecure Internet, you can have the best web experience with Speedify. You get fast connections with no video buffering that is reliable and secure. Don’t settle for buffering video. Try Speedify today and see what you have been missing. Get started with Speedify for FREE – no strings attached, no email sign-up necessary!